• Choose your option from the dropdown menu. • Please put your personalized information for the stamp in the message to seller box during check out. • Your order will ship to the address you provide during check out. • We ship to your "Etsy Ship to address" Please double check and make sure your shipping address is correct. • If you are purchasing the stamp as a gift and would like to send it directly to the gift recipient, please enter their shipping address in the "Etsy Ship to" section during check out. Fast shipping and item was exactly as I ordered. 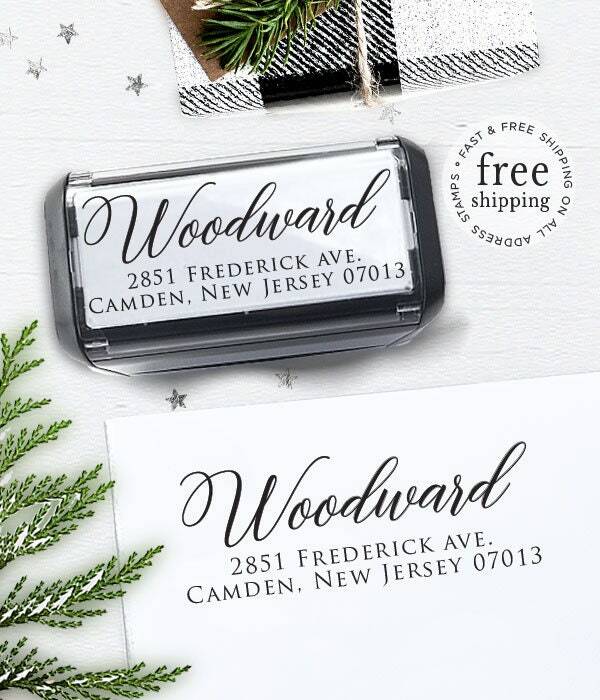 Works beautifully on my invitations, thanks you's, every envelope that needs a return address! Thank you so much! Happy to buy local! Our stamp is perfect!! I love it! It’s going to save me so much time on our wedding invitations! Only thing is, don’t waste money on the proof. Just make sure you type it right and you’re good to go!